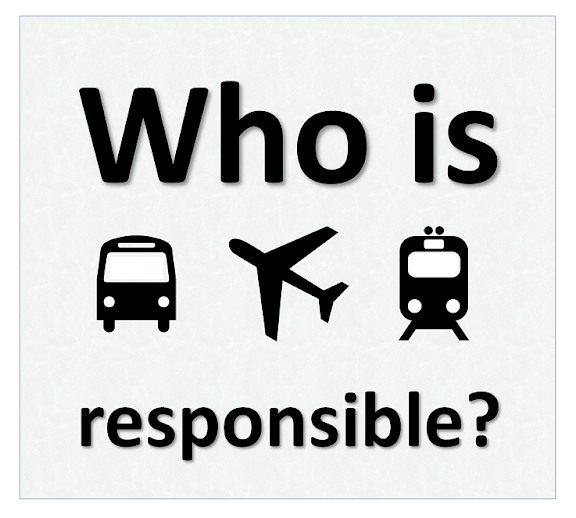 A number of different groups of people are responsible for some aspects of public transport. This article gives a quick outline of who they are, and what they are responsible for. This is a government department, which is responsible for "ensuring our transport system helps New Zealanders thrive". They don't actually run the public transport system - but they do get everyone to agree about how it will work. Convince everyone that public transport is priced efficiently and that if someone could provide a better or cheaper services, they can do this. It is a "planning, procurement and business development framework". This means it describes how planning will work, and how subsidies will be given out. And it gives permission for tenders to provide public transport services to be judged on price and on other factors, including the company previous performance. (In the past, because they were spending government money, people letting government tenders have to choose the one with the lowest price). Planning and funding transport for people with disabilities (Total Mobility) and people over 65 (SuperGold). Make a Regional Public Transport Plan (RPTP) - planning for the types of public transport services that are needed, and how to pay for them (including government subsidisies in some cases). Register passenger services that are available to the general public and will pick-up or set-down in the area. As well as these central rules, some councils have local aims too, eg promoting carpooling, cycling and walking to reducing vehicle emissions - these are agreed by the elected regional councillors. 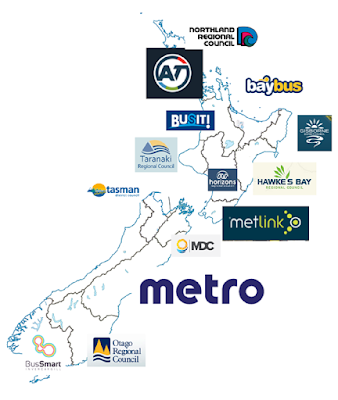 There are many other companies who run some parts of the public transport system in New Zealand. They include shuttles, bicycle-hire, taxis, aeroplaces, tourism companies, etc. The licencing and operating rules are different for each of them: some have other government agencies which set rules about how they work, while others (eg bicycle hire) have almost no rules to follow.